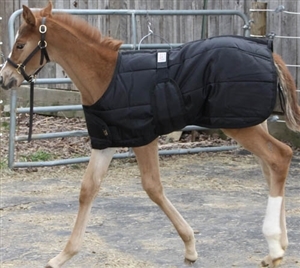 Keep your little one warm in this durable 420 denier nylon foal blanket with 180 gm fiberfill insulation. Expandable bellyband and overlap front accommodates your growing foal. Waterproof and breathable. Available in Black only.